This is the last of the Royal Collection and by far it is the nicest. 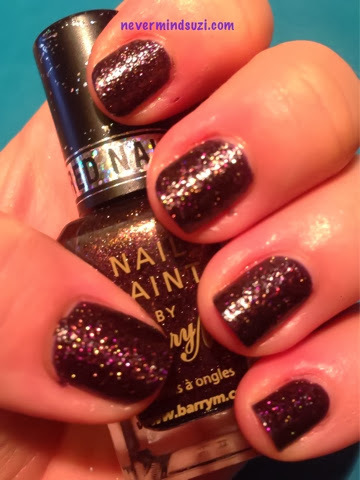 A really deep plum purple with gold, pink and purple sparkle throughout. 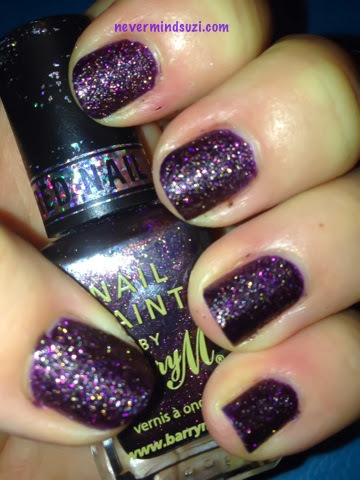 I liked it so much that I actually kept this on, unlike the others which I just swatched. 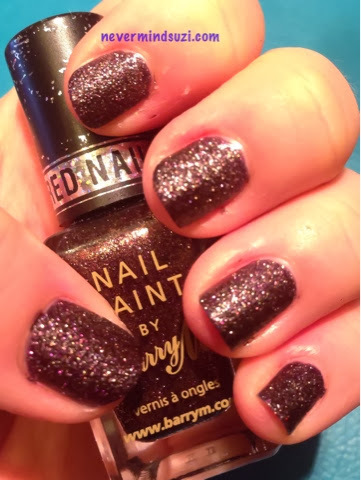 Above is without a topcoat and below is with. I like it both ways. 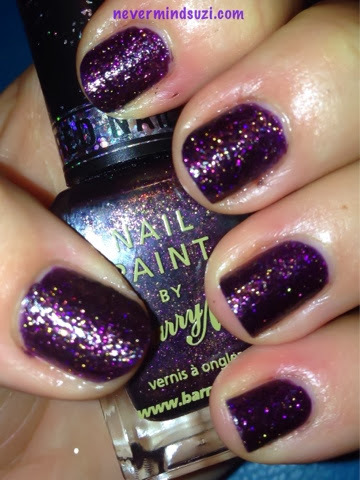 This is the kind of colour that Barry M should have focussed on in my opinion, a lovely rich jewel, the others where a bit washed out or brassy.